The electric chair has been used for performing the execution by electrocution since the 1890s. Yes, its been around for that long. It still remains a symbol for the death penalty, although it has been growing less and less popular because the execution by lethal injection is considered a more humane method of execution. We’d have to agree on that on, but there was a time when it was the norm to do things this way. However, when it was first invented, it was considered the best possible option for killing someone who had been sentenced to death and many people around the world have been executed that way. But have you ever wondered what their last words might’ve been? What is going on in someone’s mind just moments before they die? Here are 15 creepiest last things people said right before they were executed by electrocution. Some of them are weird, some are scary, while some are downright bizarre. Different people really behave in different ways face to face with death. Some of them try to use those last moments for apologizing and making amends, while the others seem like they really don’t care that they will be dead in just a couple of minutes. Here are the stories of the murderers and serial killers who faced the electric chair over the last century, as well as their creepy last words that will give you goosebumps. 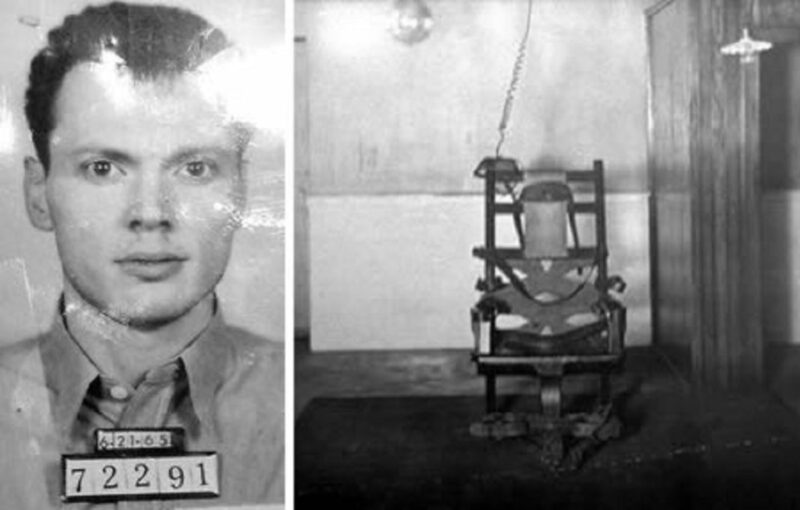 James D. French was executed by the electric chair on August 10th, 1966. His last words were “How’s this for a headline? French Fries!” One must admit that it was both witty and creepy. He was sentenced to life in prison after killing a motorist. Allegedly, French wanted to commit suicide while in prison but he didn’t really have the guts to do it on his own so he found a better way. He killed his cellmate hoping that will be a reason enough for the state to execute him. He was right, it worked. He was sentenced to death by the electric chair after murdering his cellmate. It was the last execution under death penalty laws in Oklahoma before the capital punishment was suspended in the period between 1972 and 1976.